ATLANTIC HELP TO KEEP THE LIGHTS ON! 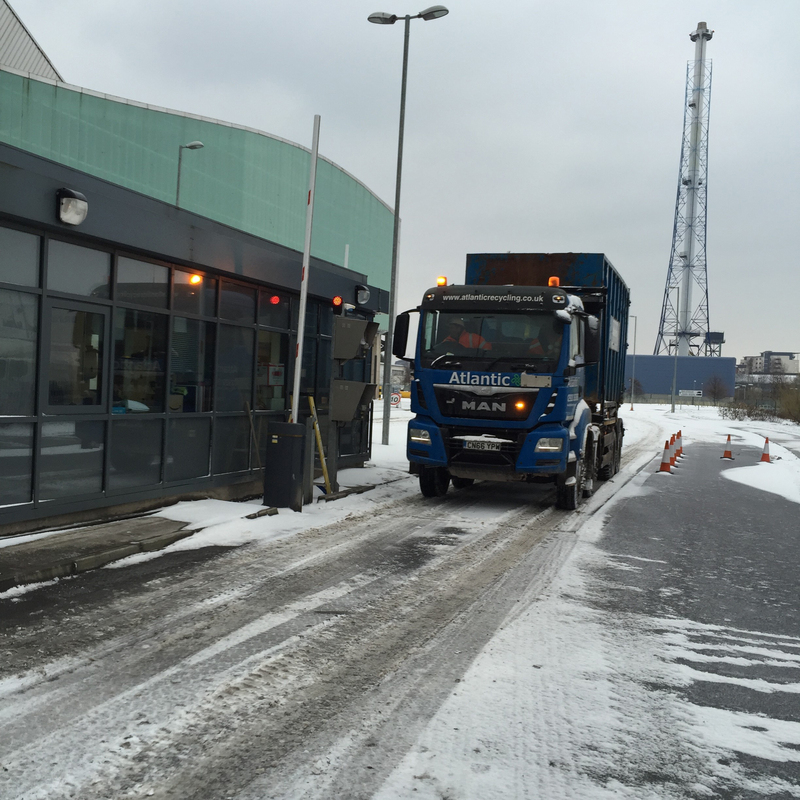 Atlantic Recycling were able to answer the call of Viridor Waste Management, owners and operators of the Trident Park Energy from Waste Plant in Cardiff during the recent snow chaos caused by the ‘Beast from the East’ and Storm Emma. Trident Park, opened in 2014, burns 350,000 tonnes of non-recyclable waste per year generated by local businesses and Project Gwyrdd (Project Green) a consortium of Local Authorities’ which includes Cardiff, Caerphilly, Vale of Glamorgan, Newport and Monmouthshire. The plant generates 30 megawatts of green electricity for the National grid, enough to power 50,000 homes. The heavy snow and treacherous conditions caused by the storm cut off the usual road supply of waste to the plant, threatening the continuing production of power; Atlantic were able to utilise its expertise, its close proximity to Trident Park together with plant and trucks to import 1,000 tonnes of non-recyclable waste to keep the furnace burning.